Matthew 19:14 "Let the little children come to me and do not hinder them, for to such belongs the kingdom of heaven". After the Worship portion of our service, the children head out with their teachers to the outside Sunday school room. Their time is filled with Bible teaching, crafts and games that the kids enjoy. We have a wonderful team of teachers that love working with the children every week. WEDNESDAY NIGHT'S KIDS CLUB STAFF! What to expect at Kid's Club: Starts promptly at 6PM with a small meal, playtime and music followed by a Bible teaching! Each week there's a new special project we work on. 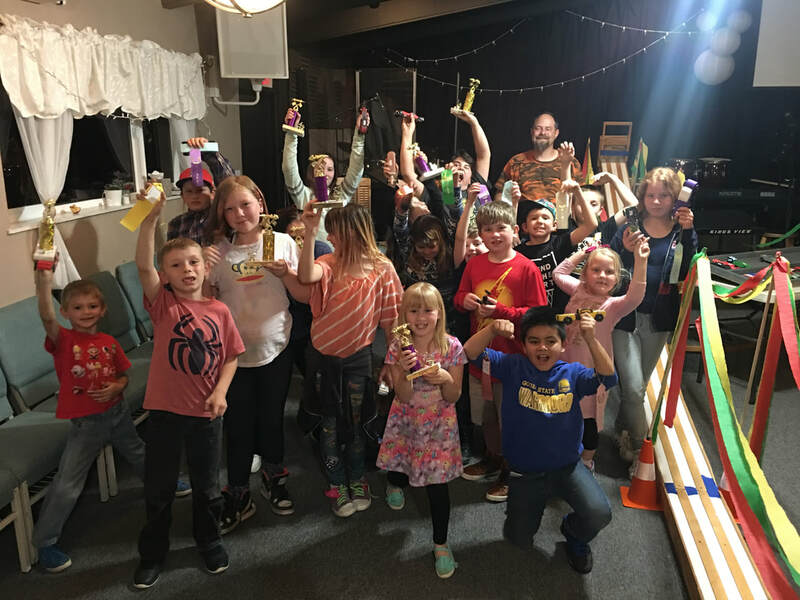 Some past project include: pinewood derby cars, birdhouses, wind chimes, first aid teaching, cooking, outdoor safety, fire safety and nature learning projects! KIDS EVENTS AND SERVICES OVER THE LAST FEW YEARS! !